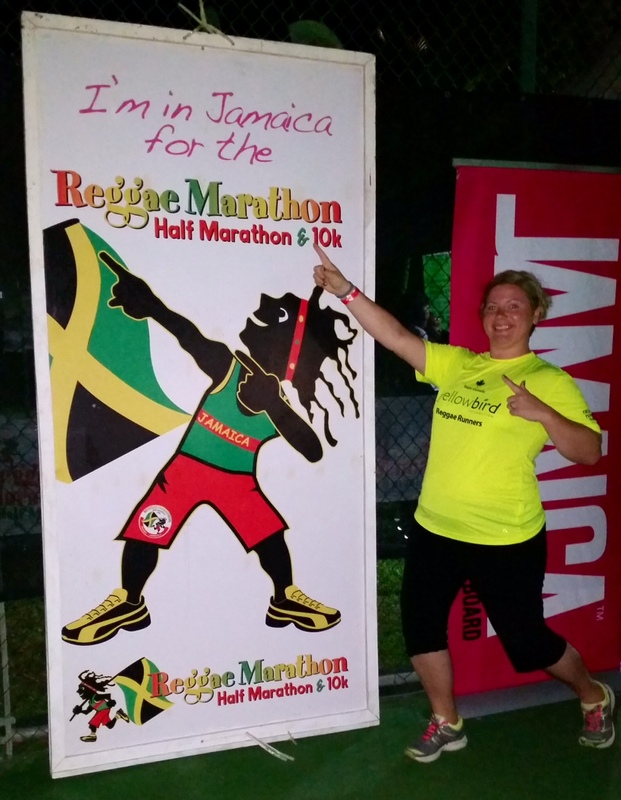 Day 5- Reggae Marathon Day! This FAM trip that was hosted by Travelweek and The Jamaica Tourist Board is a big supporter of the Yellowbird Foundation. 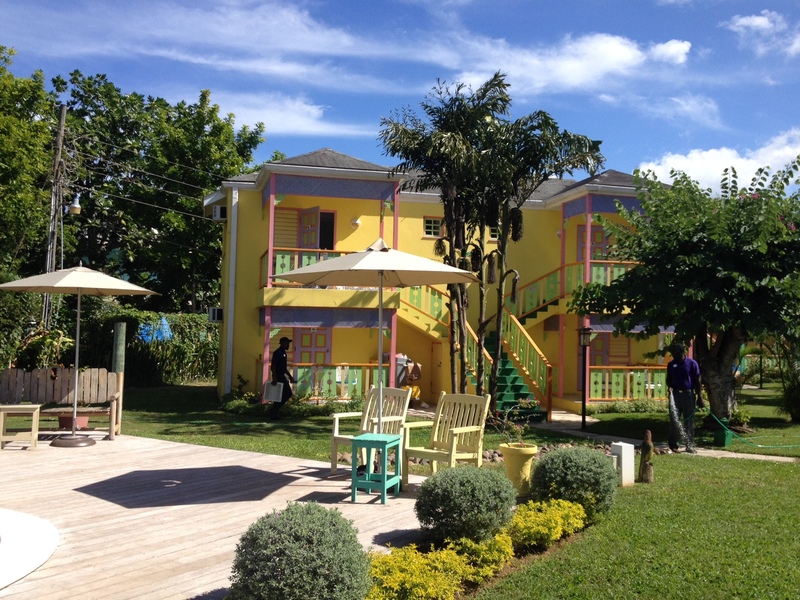 The Yellowbird Foundation is a non profit organization that helps out the behind the scenes tourism in the Carribean. Our team of travel agents all took part in the Reggae Marathon and raised money for this foundation all of which will be going towards a school here in Jamaica! Today was an early day. The alarm went of at 3:30am so we could get ready for the run’s 5:15am gun time. My tummy was full of butterflies as we walked over to the start line. This was my first half marathon and I had an injured foot all week! The run was a real challenge but after 21.1km as I approached the finish line, my team was there cheering me on and I had the most amazing feeling in the world! After the run we enjoyed and had some much deserved relaxation at the Beaches resort for the rest of the day! I was feeling very sore, but wanted to make the most of my day. I ate lunch at the a la carte restaurant Arizona’s. The nacho bar here was just what we needed post run, followed by delicious main courses of fish tacos and tilapia! After lunch it was beach time. The beaches in Negril are amazing! We found some chairs and a shade hut and went in and out of the ocean. Then the kid at heart in us came out and we hit the lazy river and floated around on out tubes! Afterwards we tested out the water slides. It was an amazing day spent lounging around! Day 6 – Sadly all good things must come to an end. 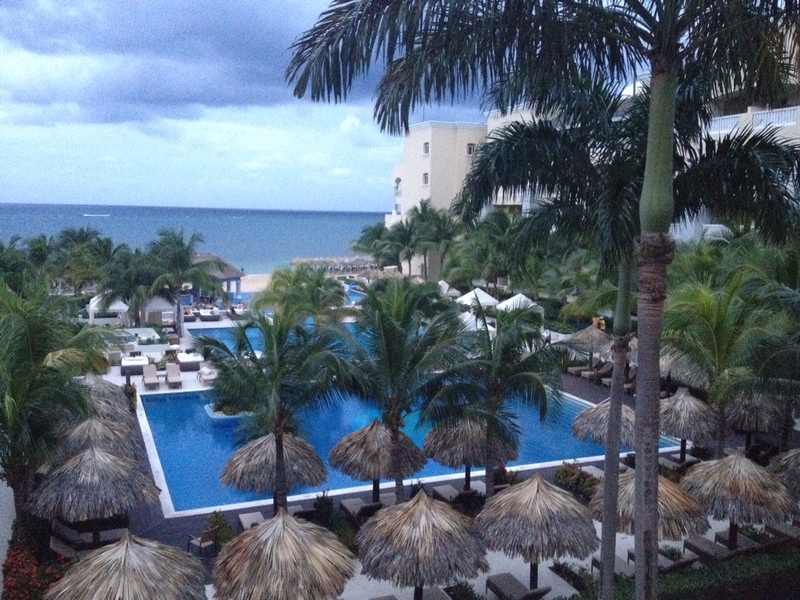 Today we depart Jamaica and the +30 weather for home and the -30 weather. My body is sore head to toe from my run Saturday! I decided upgrading to economy plus on WestJet would be a great idea! Any economy plus seats that are not pre-booked are open for purchase 24hrs prior to flight time. On the flight from Jamaica to Toronto, it cost $50 and from Toronto to Winnipeg it cost $30. Well worth it if you want some extra space. Plus, you receive free food and beverages on board, priority boarding, plus more! On our flight they had no live seat back entertainment but they had tablets for rent at a cost of $5.75 for the flight. In economy plus the tablet rentals were free. The Montego Bay airport on the Sunday was packed! The security line ups were crazy long. We decided to test out the VIP Club Mobay service. It was definitely worth every penny! The cost at the airport is $35USD per person and they expedite you through security and you get to wait for your flight relaxing in a VIP lounge with free drinks, beer, liquor coffees, juices and sodas! Plus they had a little food buffet that had parties, desserts, sushi, sandwiches and wraps. Doing the VIP Club Mobay saved us about 45 min of standing around in a line for security, gave us a very comfortable area to relax prior to flight and full bellies. On arrival in Winnipeg, it was after midnight and I had booked myself at the brand new Courtyard Marriott right at the airport. I had a park and fly rate and had left my car there before I left. 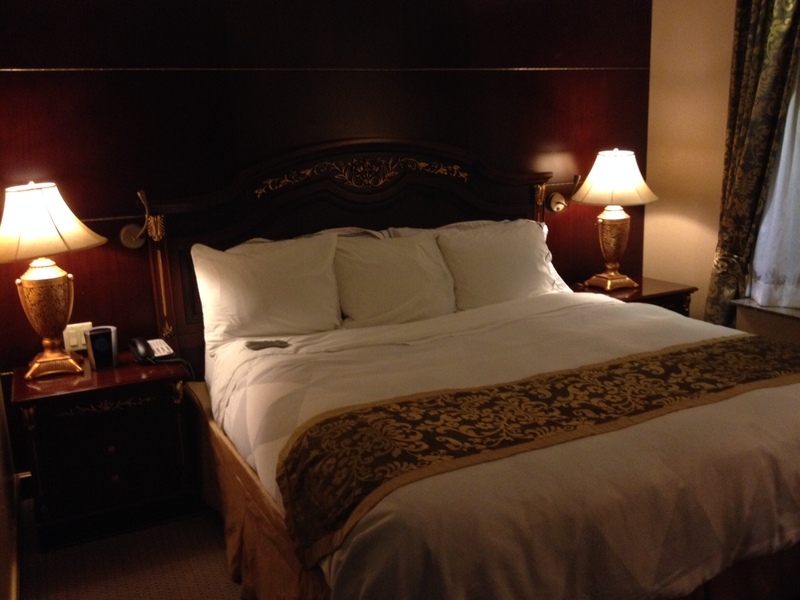 I highly recommend this hotel if you require an overnight hotel in Winnipeg before or after your flight. Beautiful hotel and rooms and super helpful staff! And sadly that is the end of my trip! If you are thinking of traveling to Jamaica give me a call or email! Jillian@uniglobecorporate.com or 1306-934-3400. 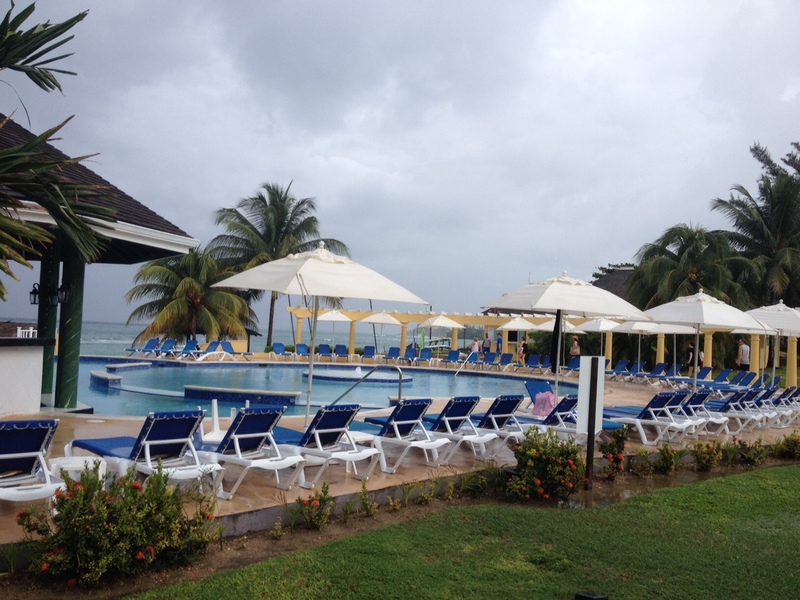 Day 3 – Today we visited 3 wonderful resorts. 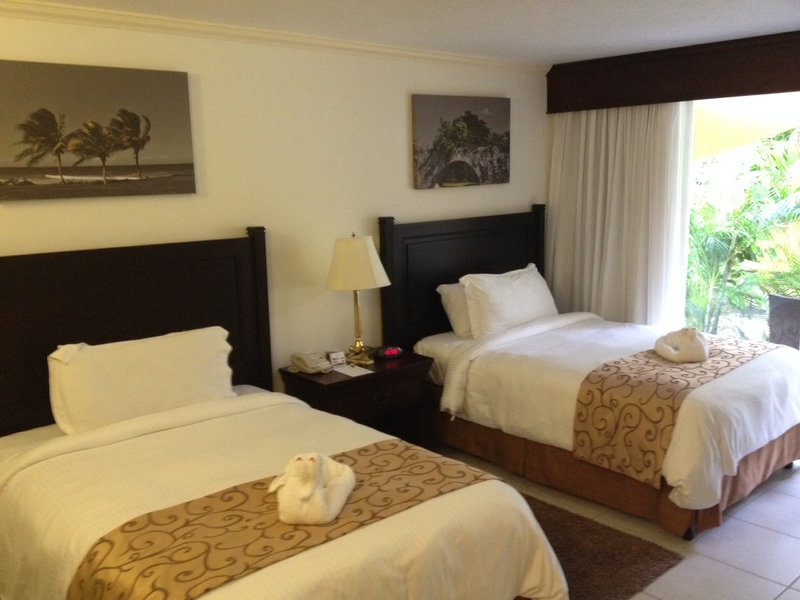 We started out at the Royalton Whitesands, a Sunwing owned and exclusive property. This resort was one of my favorites! It’s the former Starfish Trelawny, and it has done a total 360!! 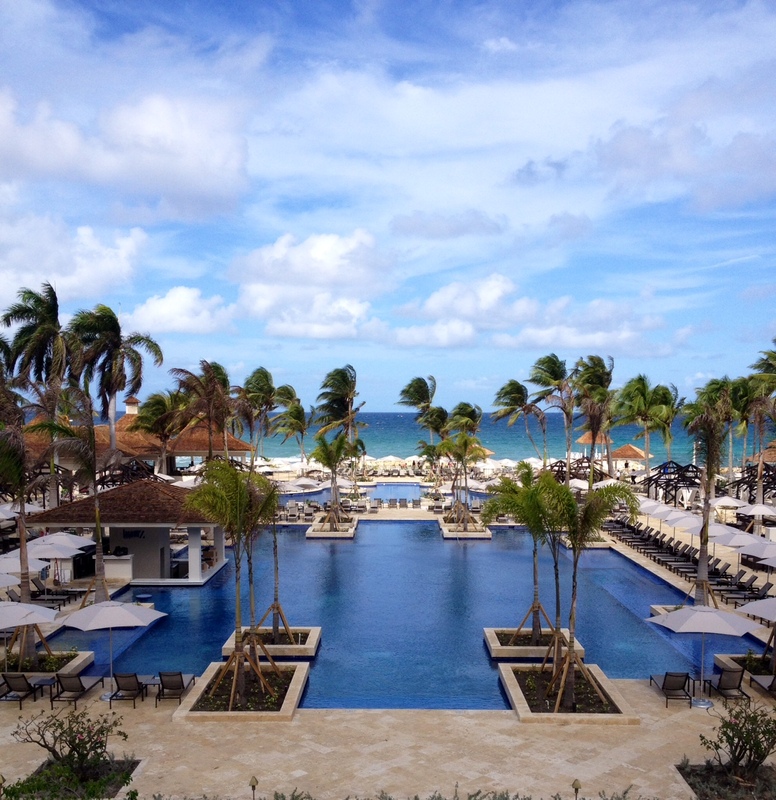 The Royalton Whitesands is a stunning resort! We then headed over the the Hilton Rose Hall. 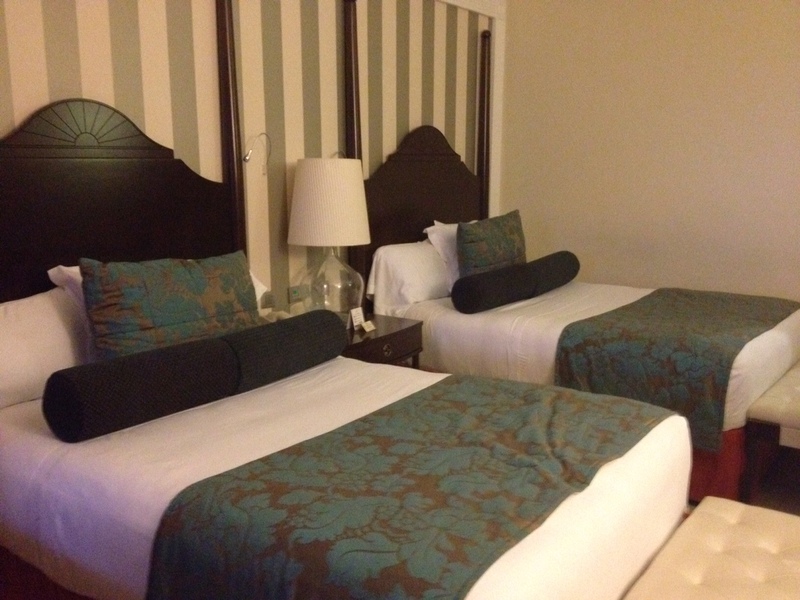 This resort has more of a hotel feel inside…. 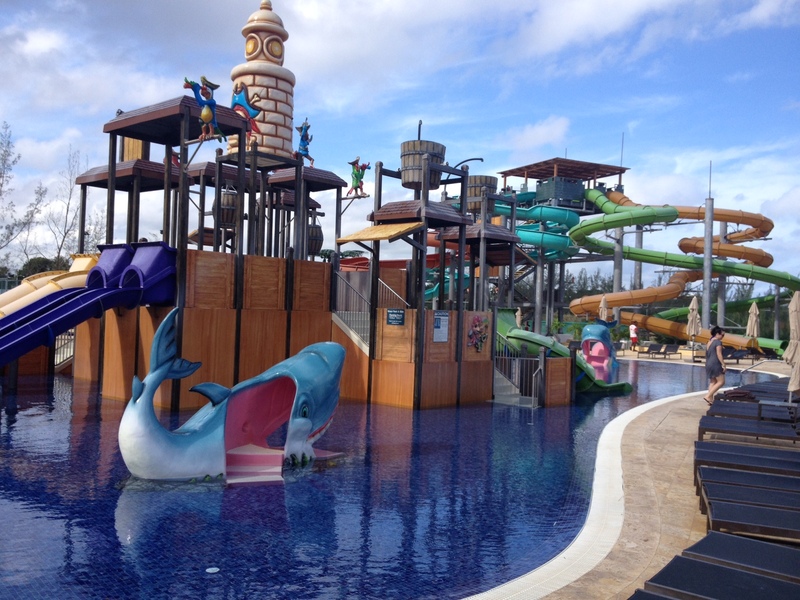 But when you get out to the water park area that feeling totally changes! And our last visit was to the 2 new Hyatt resorts scheduled to open on December 10th. The new Hyatt is the former Ritz, and again, a complete transformation. 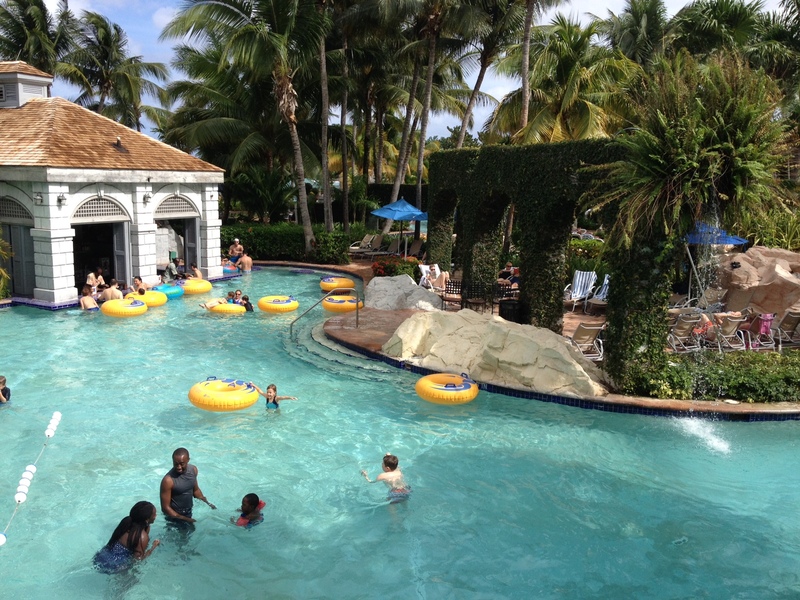 One side is a family friendly resort and the other is an exclusive adults only resort! In the evening we did a frightful night tour at the Rose Hall Plantation. I highly recommend this tour at night – It had our entire group on edge the entire time! 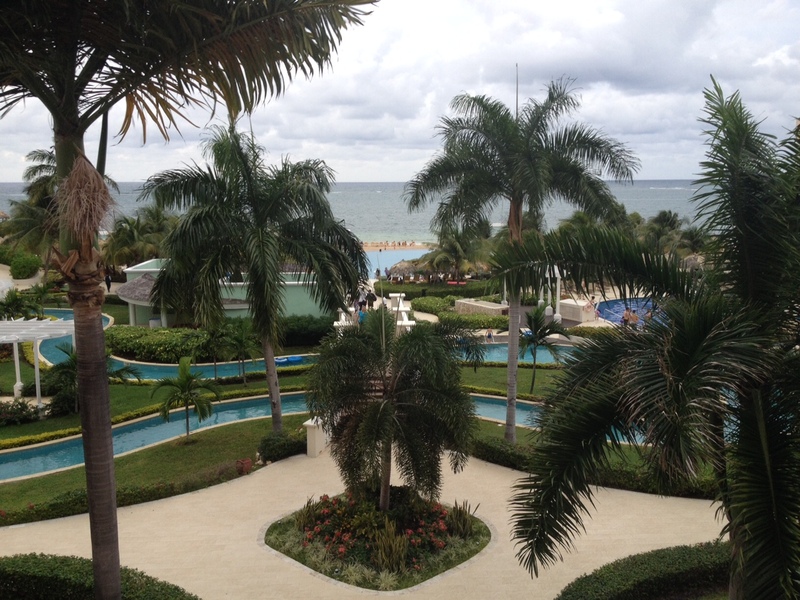 Day 4 – today we checked out of our resort in Montego Bay and headed to Negril. If you want pristine beach, then Negril is where you want to go! Here we visited the Sandals Negril. This resort was exactly what one would expect: Adults only, beautiful, ultra all inclusive with so many activities to do here and a la carte dining options! We then visited the Grand Pineapple. 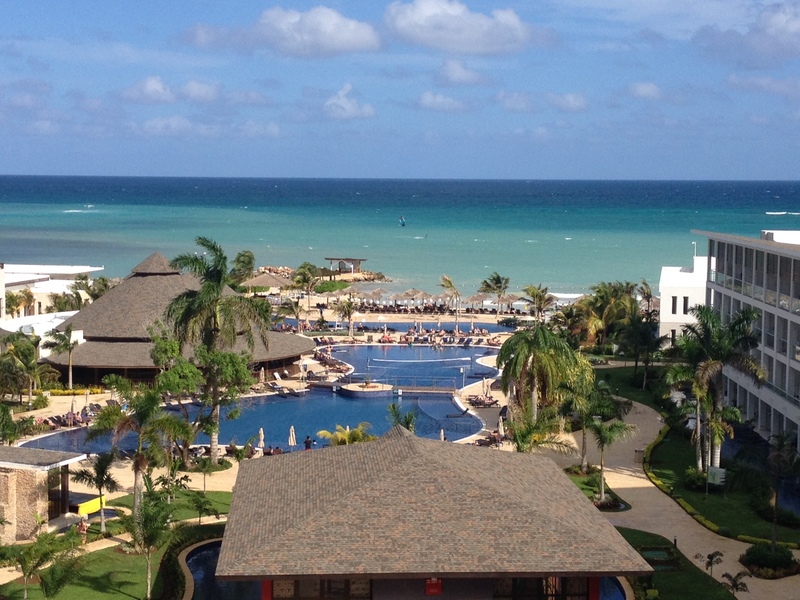 This is a Sandals opened resort, but family friendly and no frills. 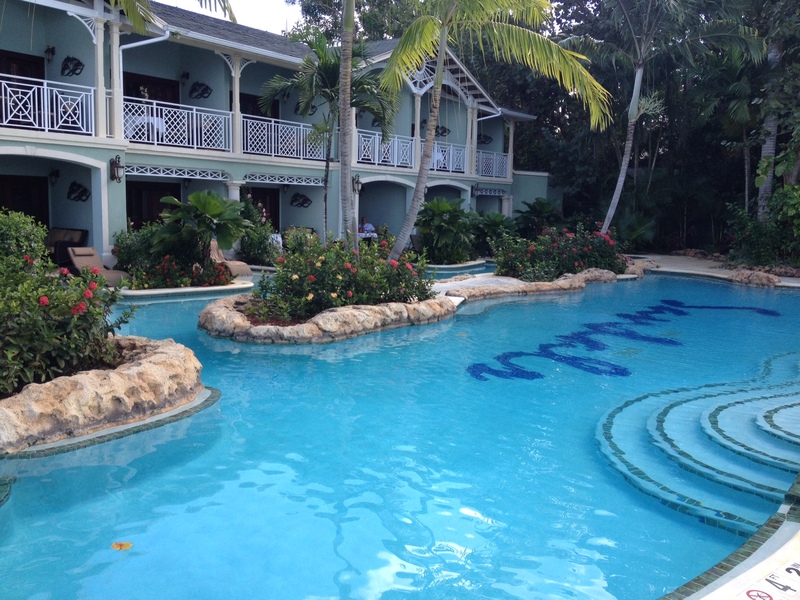 This resort is perfect for someone on a budget looking to stay in Negril for the beautiful beaches. It’s only has one small buffet and bar. This resort has a very high repeat clientele. And last but not least…. We arrived at the Beaches Negril, our home for two nights! Beaches is a Sandals property also, but an altar all inclusive family version! There is nothing I don’t like about this resort! And tonight…. The Reggae Marathon Pasta Party!!! A huge gathering event with different pasta stations serving up diner with great music getting the runners all pumped up! My first visit to South America has left a new found taste for adventure! 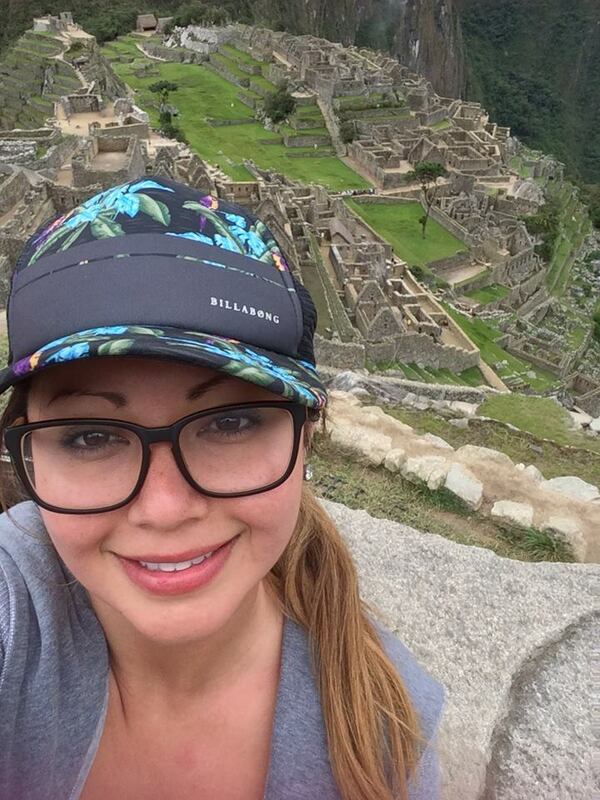 So begins our G Adventure trip through Peru with our 1 day trek to Machu Picchu. We arrived a day ahead to spend our first day touring Lima. The city itself is massive with about 13 million people living in the city and surrounding areas. First impressions left me feeling like I was back in Mexico. We spent the first couple nights in the tourist friendly beach town of Miraflores, which is about 30 minutes away from the airport. Everywhere you look there are tourist walking around, lots of shops and restaurants. 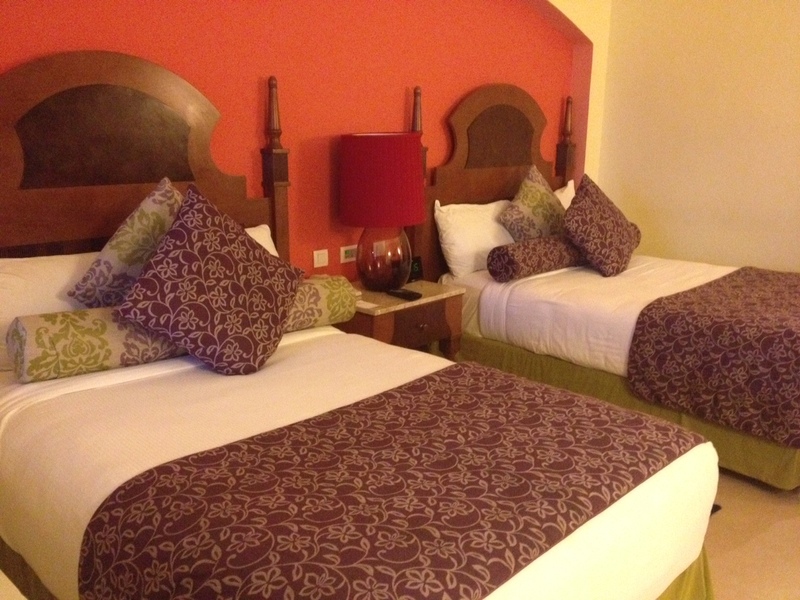 Our hotel, Hotel San Agustin, is small but is just off the main drag and location is great. Day 1 was about seeing as much of Lima as we could. We hopped in a cab in front of our hotel to Centro Lima where you can find the main square, the Presidential Palace and St Francis Church. The cab cost $25 Peruvian Soles which works out to be $10USD and it took about 20 minutes to get there. 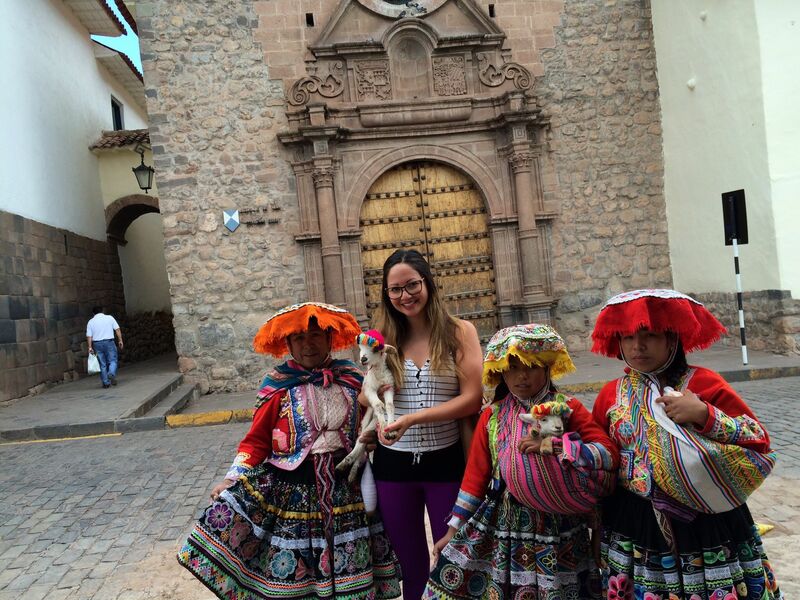 I was most excited to see St Francis and tour the Catacombs below ($7 Sol – 1 hour tour). The crypt is home to about 25,000 deceased Franciscan beginning in the early 1800s. It’s exactly what you except… super creepy, but you can’t look away. The amount of skulls and bones left me feeling very uneasy and I stayed tight to the group for fear one of these power outages that I heard so much about would happen right then and there. Thankfully that didn’t occur. Right now, I’m flying over the snow capped Andes on my way to Cuzco with my group. Looking forward to getting to know our group and checking out Pisac tomorrow!